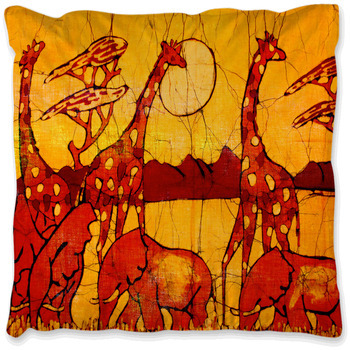 Many people today enjoy decorating their homes with international fare. 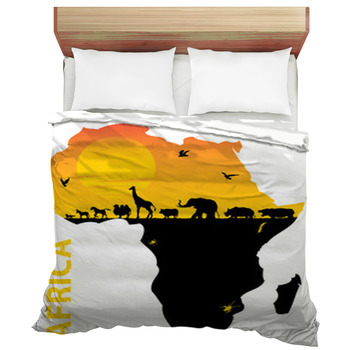 And for them, African bedding is a perfect addition. 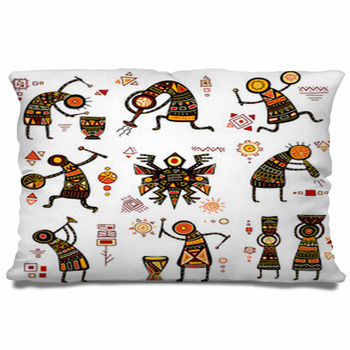 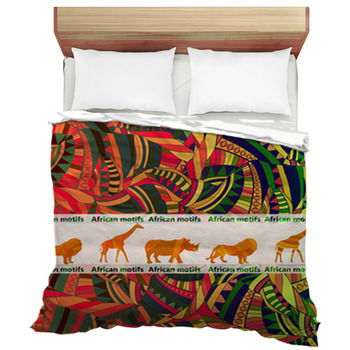 So whether you're remembering your own heritage or someone whose entire house features different international styles, you'll enjoy our selection of African themes. 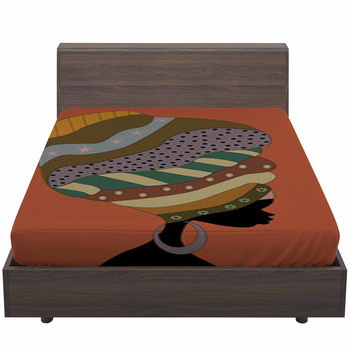 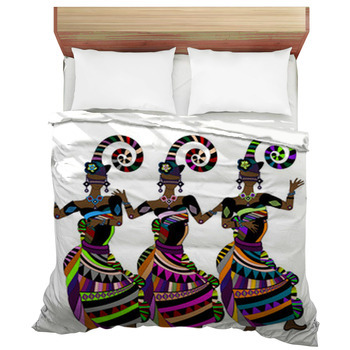 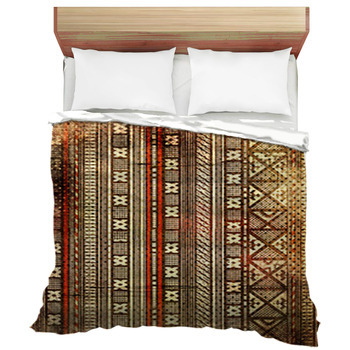 First, comes the fun part: selecting designs for your bed set to enhance your African bedding theme. 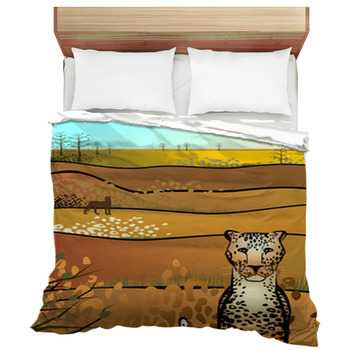 We have a large assortment of images of scenery, animals, and places. 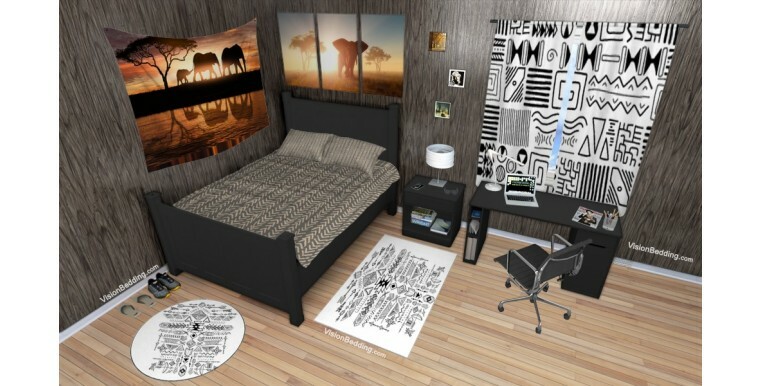 Choose however you want to decorate the room, whether it be full on safari-like, or more classic with patterns. 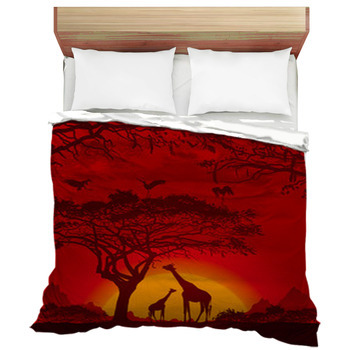 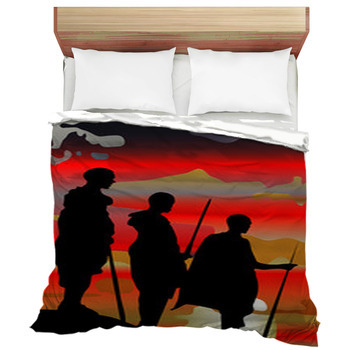 Then pick the product you'd like, whether it will be bedspreads, comforters, or custom size duvet covers. 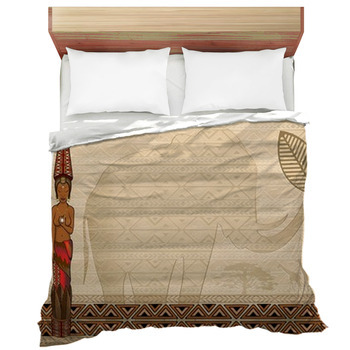 We have beautiful photographs of statues, of elephants, and illustrations of African themes and shapes that evoke a great continent. 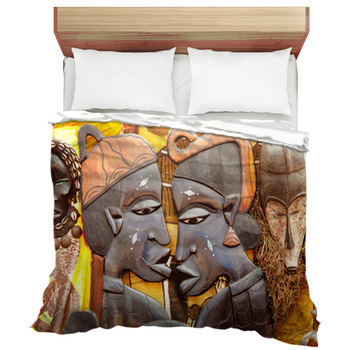 Your bedding and your blanket can reflect your traveling spirit while your body is still in sleep and your dreams are the only part of you traveling.